Sometimes you just need a dinner full of goodness. A meal that will make you feel good and happy and content. I present to you: RAMEN. Prepare Ingredients: Shred chicken, slice onion, slice mushrooms, wash and tear spinach and finely grate carrot. Step One: Prepare Miso according to packet and create 1 litre of stock using 1 1/2 cubes. Step Two: Steam spinach for 2 minutes in the microwave. Step Three: Heat 1 tsp sesame oil in wok and stir fry mushrooms and corn for 2 minutes. Step Four: Cook noodles in boiling water for 4 minutes. Drain. Step Five: Piece it all together! 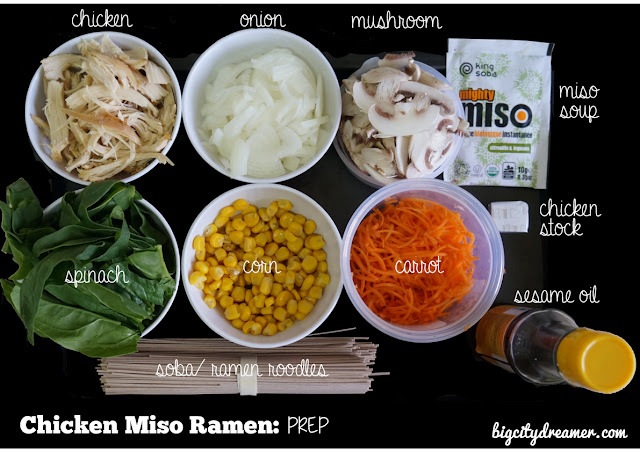 Make up the miso and chicken stock, according to instructions. 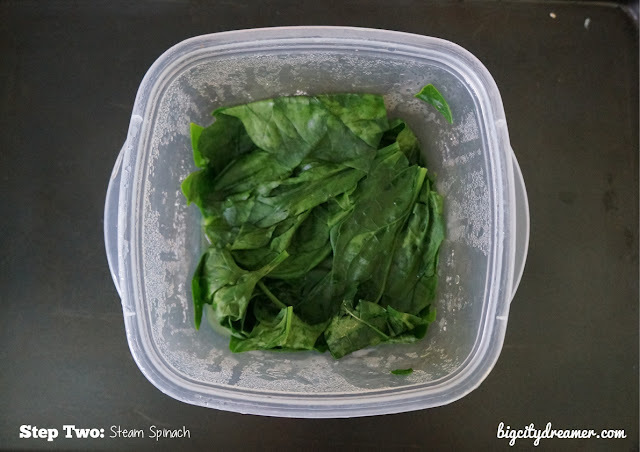 Place spinach in a microwavable container along with a bit of water, cover and steam for 2 minutes. 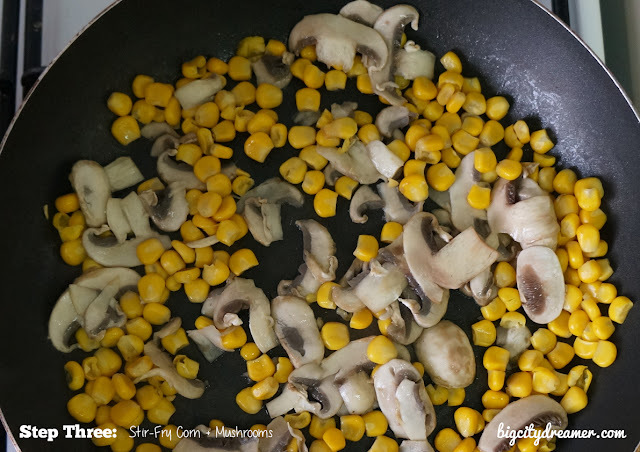 Heat the sesame oil a wok and flash fry the sweetcorn and mushrooms for 2 minutes over a medium heat. 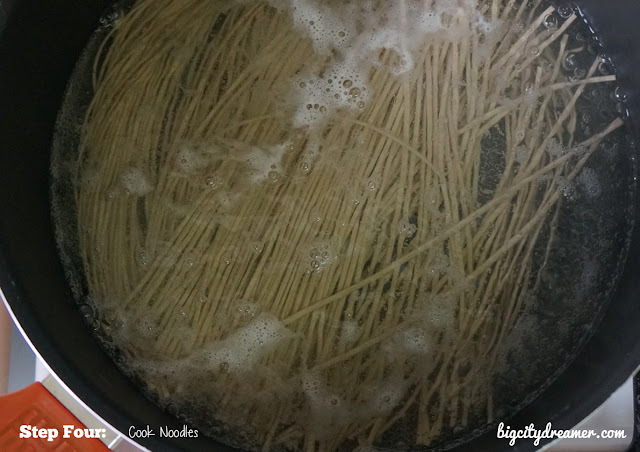 Cook the noodles, according to instructions, for four minutes in boiling water. Put it all together! 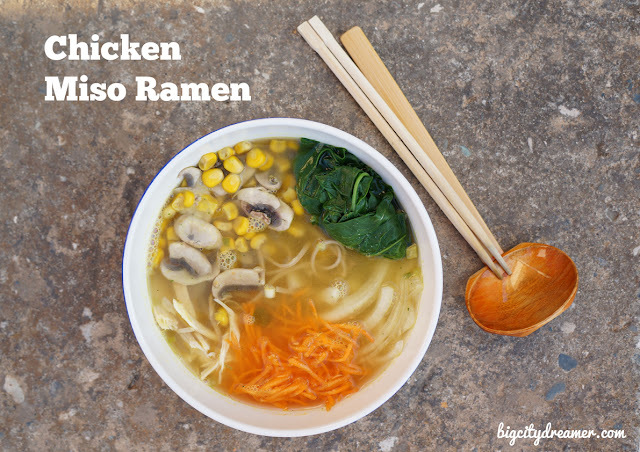 First, separate the noodles evenly amongst the three bowls, followed by the chicken, onions, carrot, sweetcorn, mushrooms, spinach and finally miso and stock. Top with spring onions, if desired. 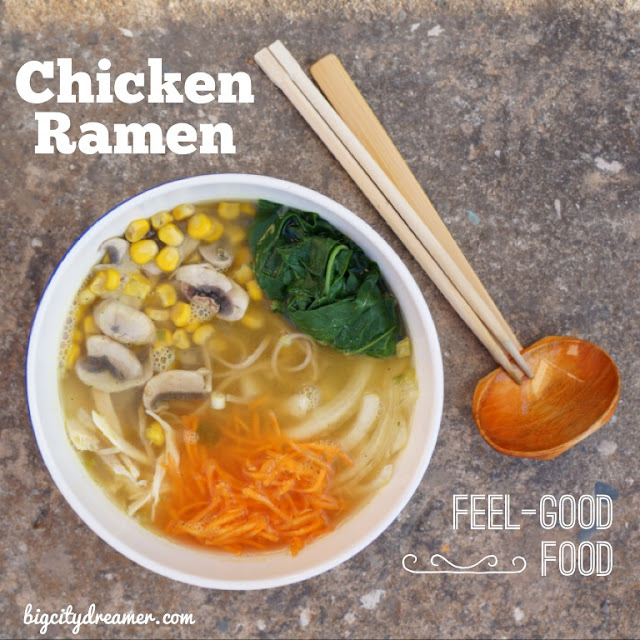 What is your favourite 'feel good food'? Do you like Ramen? Had this for din, lovely. 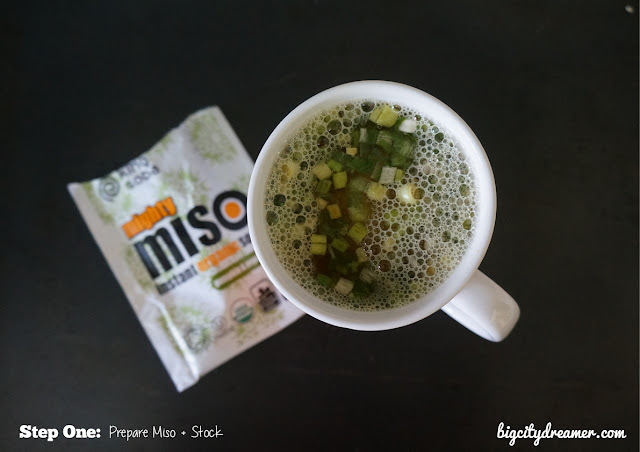 I also like that some of your recipes include a packet of something ( eg miso soup). It's very unlikely I'll be making a mid week din entirely from scratch every night. Thanks and great blog and recipes!! Much appreciated!